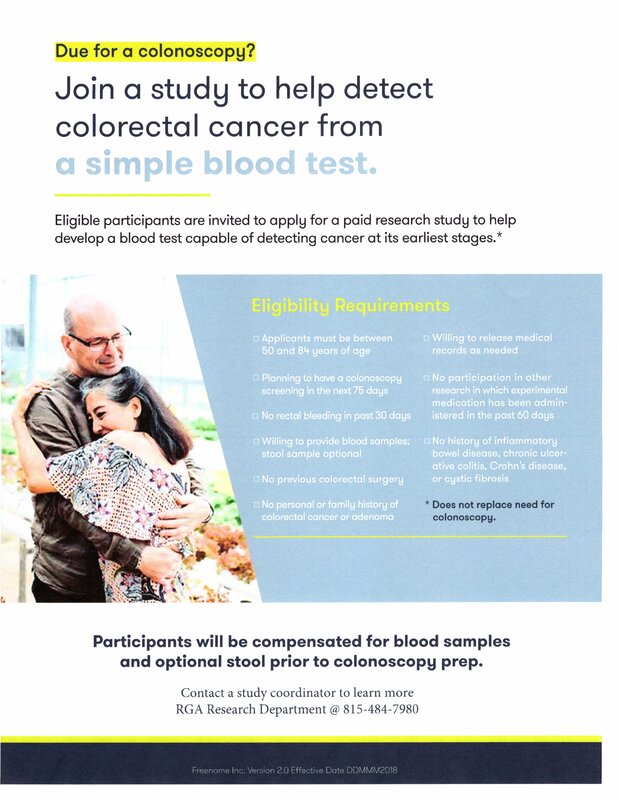 Rockford Gastroenterology Associates is participating in a study to help detect colorectal cancer from a simple blood test. Eligible participants are invited to apply for a paid research study to help develop a blood test capable of detecting cancer at its earliest stages. Be between the ages of 50 and 84. Be willing to release medical records as needed. Plan to have a colonoscopy screening in the next 75 days. Have had no rectal bleeding in past 30 days. Not have participated in other research in which experimental medication has been administered in the past 60 days. Be willing to provide blood samples; stool sample optional. Have no history of inflammatory bowel disease, chronic ulcerative colitis, Crohn’s disease or cystic fibrosis. Have no previous colorectal surgery. Have no personal or family history of colorectal cancer or adenoma. Signing up for the study does not replace the need for colonoscopy. 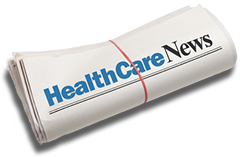 Participants will be compensated for providing blood samples and stool (optional) prior to colonoscopy prep. Contact a study coordinator through the RGA Research Department to learn more at 815-484-7980.